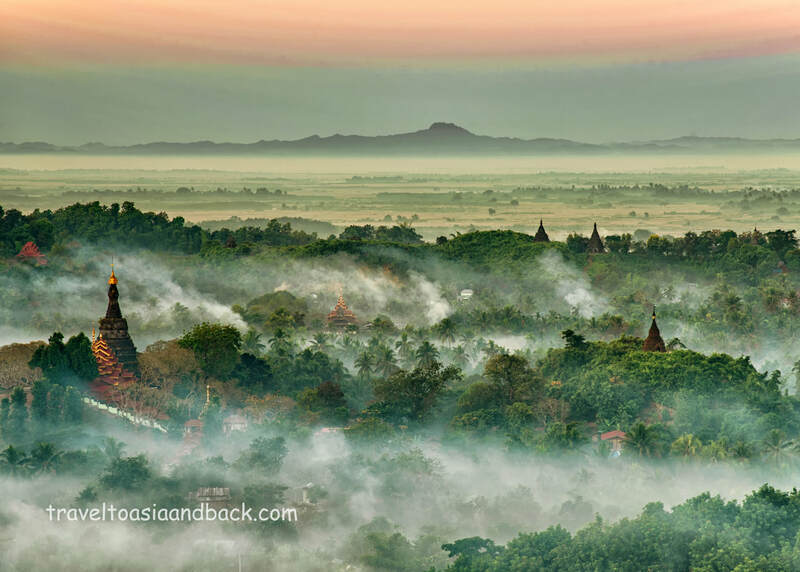 Mrauk-U, pronounced Meow Oo, is undoubtedly the most well known travelers’ destination in Myanmar’s remote Rakhine State - formerly Arakan State. Due to its remoteness and perceived difficulty to reach, Mrauk-U is well off the usual travelers’ routes through Myanmar. On any given day there is apt to only be a handful of tourists in and around the town. This is a fantastic place to experience rural Myanmar at its best. 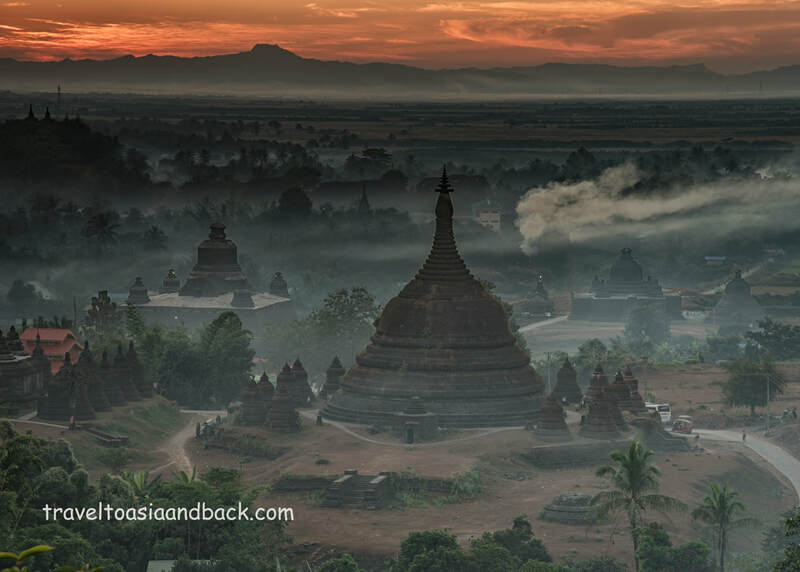 ​The small town of Mrauk-U, once the capital city of the vast Arakan Kingdom, has a long and complex history. People have inhabited this area for at least 5,000 years and according to legend Gautama Buddha visited and preached to the Arakan court in 550 BC. However, the early history of the predominantly Buddhist Arakan people can be divided into seven distinct periods beginning with Vesali in 327 AD and ending with Mrauk-U in 1784. Today, Mrauk-U is best known for its ancient ruins and monuments which crown the hilltops and separate plots of lush farmland. 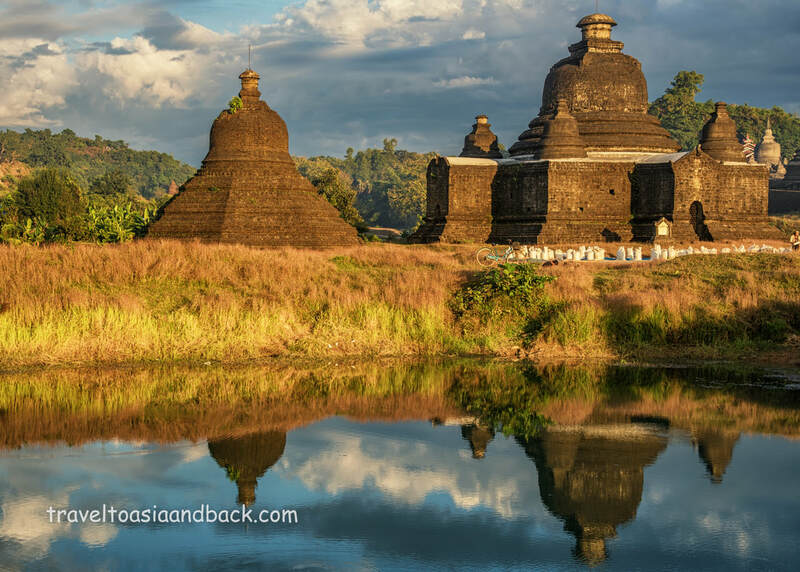 Between the 15th and 17th century, during Mrauk-U’s most prosperous period, many imposing fortress-like Buddhist monasteries, pagodas and stupas were constructed. A great example of ancient Arakan architecture and engineering is the massive Koe-Thaung temple. Completed in 1556, it was buried under a mountain of earth for many centuries, only recently excavated in 1996. Known as the “Temple of 90,000 Buddha Images”, it is in remarkably good condition with the statues and carvings in its maze-like interior largely intact. One can assume that because the temple had been lost for so long it was spared the destruction and looting that has plagued so many sites of historical importance. ​In addition to the half dozen major temples sites in Mrauk-U there are dozens of smaller pagodas and stupas scattered around the area. The landscape here is a mixture of hills and plains and it appears that on each and every hillock a Buddhist monument was constructed. Travelers can also see the ruins of the old city walls, royal palace and visit the Mrauk-U Archaeological Museum. Journey just outside the town and see the ruins of the Vesali period including a 17-foot tall statue of the Buddha, known as the Great Vesali Image. Carved from a single block of sandstone in 327 AD, the Arakan people are especially proud of this mammoth Buddha image. 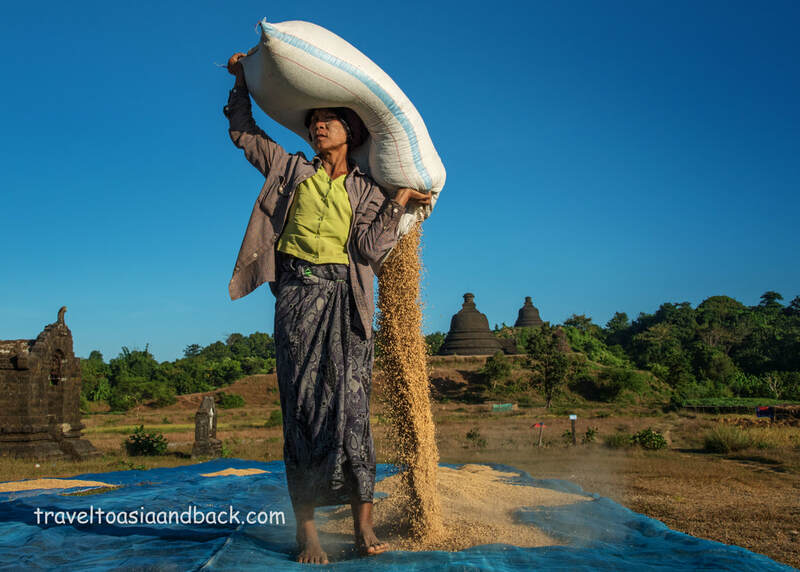 ​Mrauk-U is also a gateway to Chin State where travelers can go trekking to the remote ethnic minority villages which lie along the banks of the Lemro River. Only accessible by boat, day tours or overnight stays in villages can be arranged with local guides. 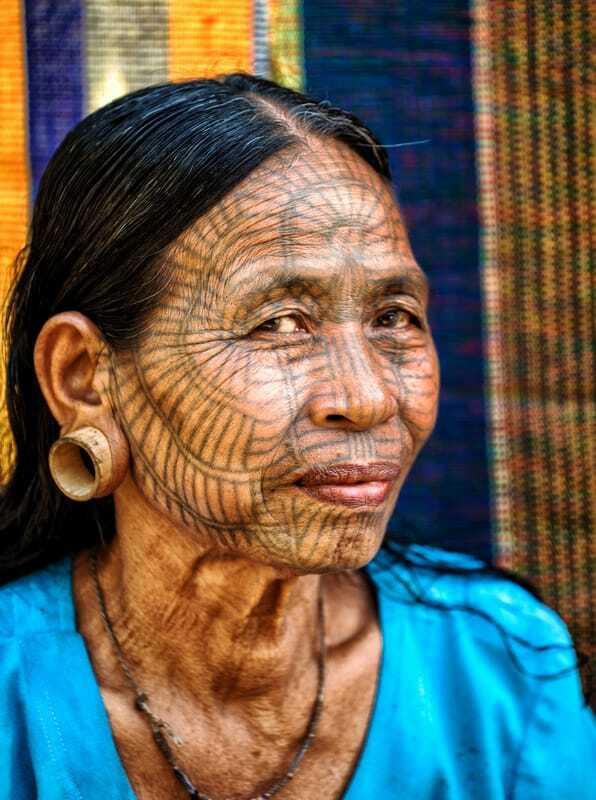 See our recent article on visiting the Chin Villages and their most well-known inhabitants, the Tattooed Ladies. The fastest and easiest way to reach Mrauk-U is to fly into the city of Sittwe (AKY) located 37 miles (60 km) to the southwest. Myanmar National Airlines, Air Bagan and Air KBZ are a few of the country's reputable domestic carriers that operate daily flights from Yangon (RGN), Than Dwe (SNW) and Kyaukpa (KYP). We recommend booking flights directly with these airlines and avoid using third parties like travel agencies. ​From Sittwe travelers have a number of options to complete the journey including buses, hire cars and boats. To travel this leg by boat, visitors can choose between one of two slow and inexpensive ferry boats that cater to locals. At least one of these boats departs daily, costs 10,000 kyat ($7.50 USD) and takes a minimum of four and a half hours. There are also numerous privately-operated boats that can be hired for around $100 USD but are generally no faster the regular ferries that the locals use. ​Budget travelers will often opt to reach Mrauk-U directly by bus. As buses must wind their way through the rugged Arakan Mountain range the journey is slow and arduous. The roads are mostly narrow and in poor condition. Drivers must negotiate many sharp bends where the bus must slow to a virtual crawl. Although most of the buses that make this trip are modern and in good condition, they tend to be cramped with little leg room or space for carry-on items. Most bus passengers find sleeping on these routes difficult or impossible. Travel time from Yangon or Mandalay is twenty hours while the journey takes 17 hours from Kyaukpadaung (for Bagan) and 15 hours from Than Dwe (for Ngapali Beach). Bus tickets cost between 20,000 and 25,000 kyat ($15 - $19 USD).